The Grand Hotel Sonnenbichl is very popular as a conference hotel in Garmisch-Partenkirchen. Its special location and the unique panorama mountain views from the conference room windows and the many options offered by our various conference and seminar rooms play an overwhelming role in our popularity as a conference hotel. 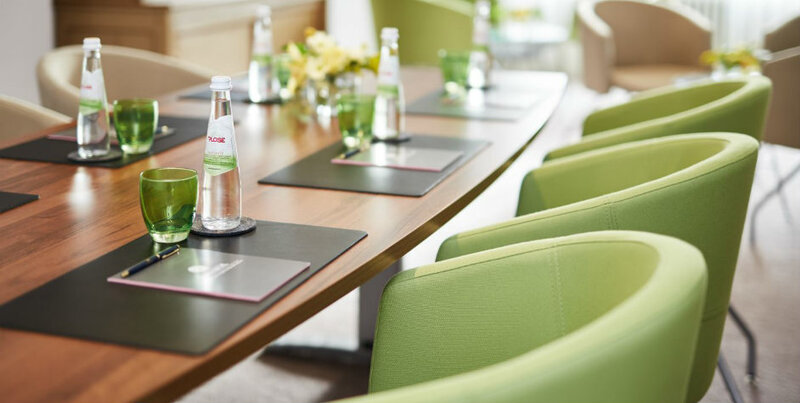 Our meeting rooms are naturally equipped with the first rate and the latest equipment. Our conference packages offer stress-free, all-round service for every business event. 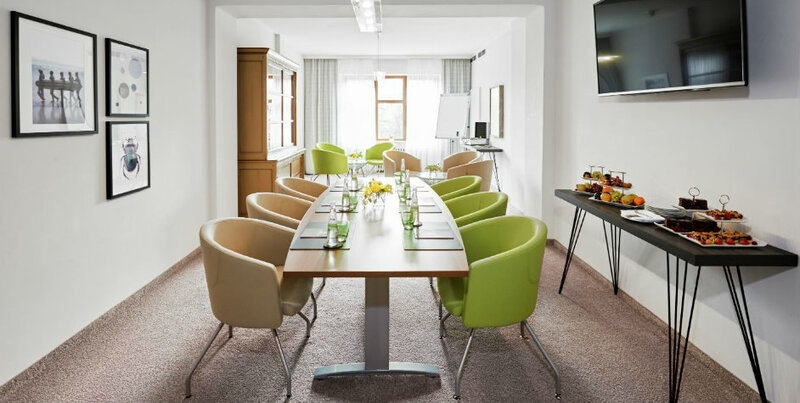 The Grand Hotel Sonnenbichl has a total of six conference rooms in Garmisch-Partenkirchen. These range from rooms for small meetings to those for major business events with availability of up to one hundred people. The largest room in our conference hotel in Zugspitze lives up to its name and offers a breath-taking view up to the highest point in the German Alps, the Zugspitze. The direct access to the Panorama Terrace and the Peacock Lounge make it one of our most popular conference rooms. You can find out more by telephone or with our enquiry form. Our conference packages are designed to cater to your every wish. Depending on the type of business event, you have a choice of a range of packages. These naturally include the room and the beverages. At midday, we serve a business lunch in the form of a three-course menu or a buffet. If desired, you can also order an evening dinner menu. For longer conferences, we also offer overnight accommodation. Should any of our packages not be right for you, we will be pleased to prepare an individual offer. The equipment at our conference hotel in Southern Bavaria is state-of-the-art. 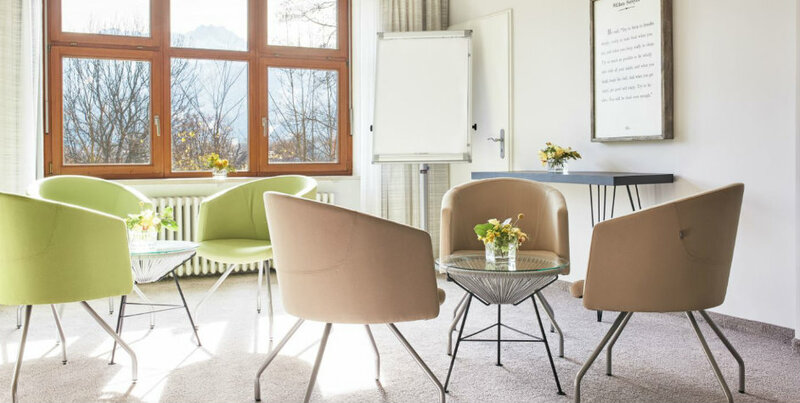 All rooms come equipped with flip-charts, notice boards, a moderator set, a screen and an overhead projector as standard All attendees also have access to free high-speed WLAN and an air-hockey board is available for creative intervals. We offer additional equipment such as loudspeaker equipment or flat screens. Our events department will be pleased to advise you. Find out now about our business events and conference offers.